Email MeColin Adair Morgan Esq. Colin grew up in Mount Lebanon, Pennsylvania. He graduated from Allegheny College, located in Meadville, Pennsylvania with a Bachelor of Arts in History and a minor in Music Performance (percussion). During his tenure as an undergraduate, Colin served as student body president, was appointed principal percussionist of the music department and remained active in the college’s Greek community. A scholar athlete, Colin was a four year member of the varsity football team. In his senior year, he was inducted into Phi Alpha Delta, an honorary fraternity recognizing outstanding community service. Colin’s first experience in the law occurred while interning for Pennsylvania Supreme Court Justice Max Baer during summer breaks from Allegheny College. Colin earned his Juris Doctor degree from The Duquesne University School of Law. During law school, Colin worked for The Neighborhood Legal Services Association, resulting in his first exposure to Elder Law. He also served as the Vice President of the Student Bar Association where he organized a number of charitable fundraisers. Colin worked as a research assistant for the Duquesne Center For Legal Information as well as a clerk for the Allegheny County District Attorney’s Office. Colin is an associate attorney with Julian Gray Associates where he assists clients in all phases of the long term care planning process. This includes Medicaid eligibility, Veterans benefits planning and traditional estate planning, all with an emphasis on issues specific to aging clients as well as younger clients with disabilities. 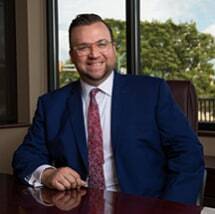 In addition, Colin assists families planning for children with special needs, including transitioning to adulthood as well as planning for litigation proceeds of injury victims who need to maintain important government benefits such as SSI and Medicaid. He is a frequent speaker on various Elder Law topics for the Community College of Allegheny County, and for health care professional education seminars and for community groups. Colin resides in Mount Lebanon, PA. In his spare time, he is a professional percussionist and sports enthusiast, playing with a few local bands and staying active with the Pittsburgh Sports League.